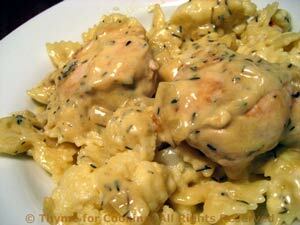 Chicken and Cauliflower Pasta, from Thyme for Cooking's Weekly Menu Planner. With leftover chicken this is almost too easy to be this delicious. The cauliflower cooks with the pasta, and the chicken and sauce cook in one skillet, saving on time and cleanup. .